Chen Quanguo (陈全国; born November 1955) is a Chinese politician and current Communist Party Secretary of the Xinjiang Uyghur Autonomous Region. Chen Quanguo was one of the first party officials to refer to Xi Jinping as being the “core” of the party leadership. Chen Quanguo is a native of Pingyu County in Zhumadian prefecture, Henan province. In December 1973, at the age of 18, Chen enlisted in the People’s Liberation Army. He joined the Communist Party of China in February 1976. After leaving the military in March 1977, he briefly worked at a car parts factory in Zhumadian. Under his rule as Xinjiang Party Secretary, Chen promoted the recruitment of the local population into the police force. He started repression against Kazakhs and other minorities in Xinjiang. 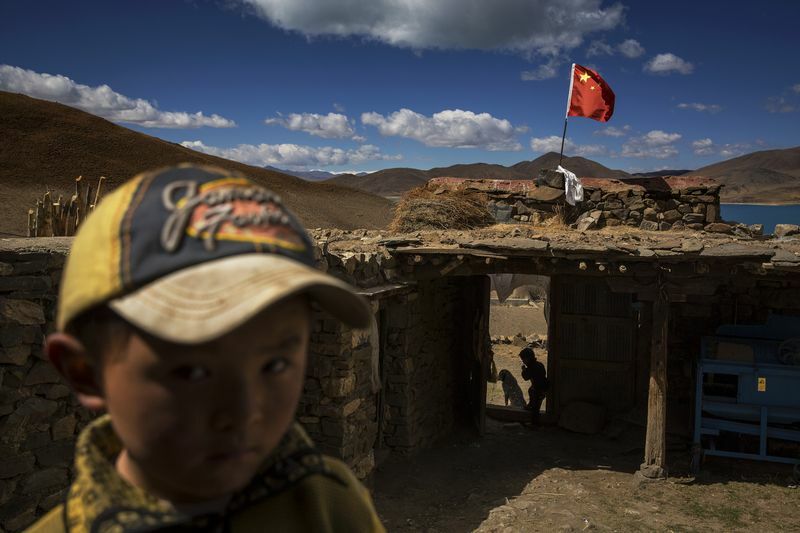 Since Chen Quanguo was transferred from Tibet to govern China’s Muslim region in August 2016, he has overseen the construction of a network of extrajudicial internment camps. He has also stepped up surveillance of residents by using advanced technology as well as increasing police presence, and passed severe regulations to curtail religious and cultural expression. 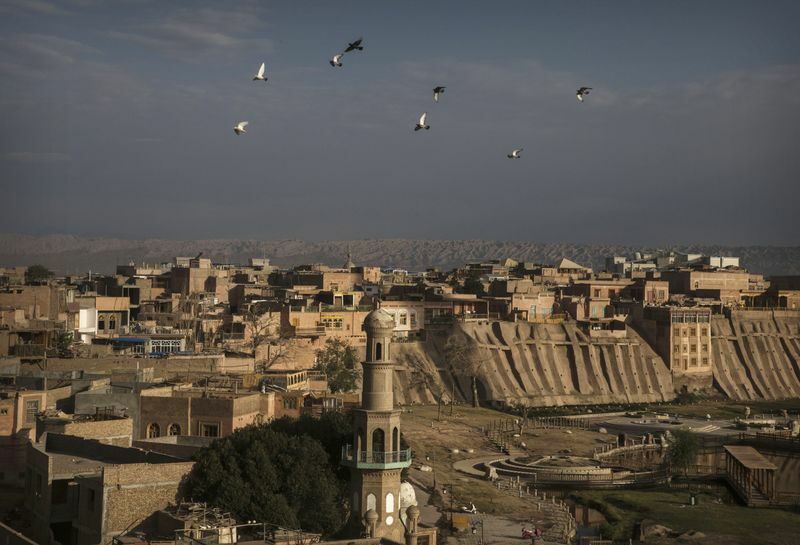 According to estimates by rights groups and researchers, at least tens of thousands – or possibly a million members of ethnic minorities – many of them ethnic Uyghurs, are currently being held in “re-education” camps in the region. A group of U.S. lawmakers has urged President Donald Trump’s administration to impose sanctions including asset freezes and visa bans on Chinese officials and companies allegedly tied to a stifling security crackdown and the mass internment of ethnic minority Muslims in camps in a far western region. The lawmakers sent a letter to Secretary of State Mike Pompeo and Treasury Secretary Steve Mnuchin urging the government to apply sanctions to address the “ongoing human rights crisis” in the region of Xinjiang, in the latest sign that the detentions are raising concerns among Western leaders and governments. The letter singles out Xinjiang’s top official, Chen Quanguo, accused by many of turning the region into a police surveillance state and implementing a system of internment camps, also known as “re-education centers,” where members of the Uighur and other Muslim minorities are locked up for months without trial. But in China, Chen has been a rising star. His actions in Xinjiang, along with demonstrations of loyalty to President Xi Jinping, won him a promotion last year to the Communist Party’s powerful Politburo — making him one of China’s 25 most powerful officials. In 2023, the 62-year-old Chen may be considered for a spot on its supreme Standing Committee, which has seven members. Chen received his big break in 2011, when he was appointed as the party’s top official in Tibet — one of the only places in China where foreign diplomats and journalists need permission to travel. It was a prestigious appointment: Hu Jintao had headed the region about a decade before he became president. 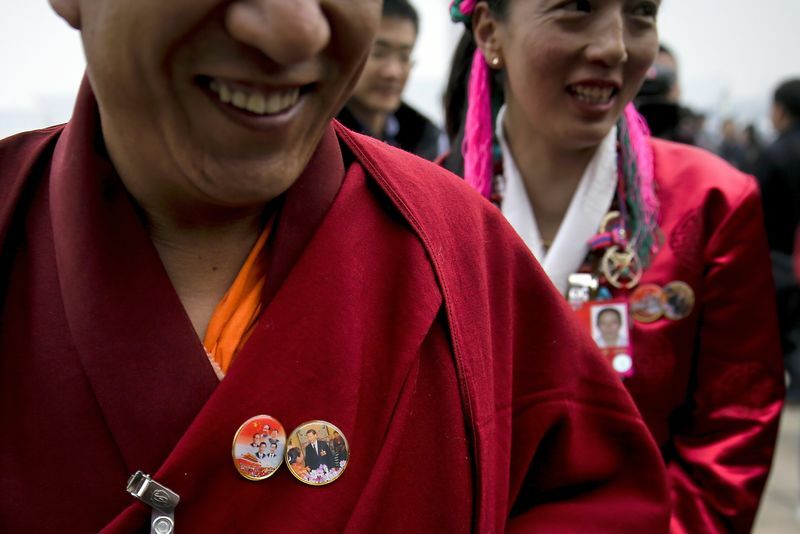 By 2015, Chen stationed some 100,000 cadres in Tibetan villages and more than 1,700 temples had established party organizations, according to state media. 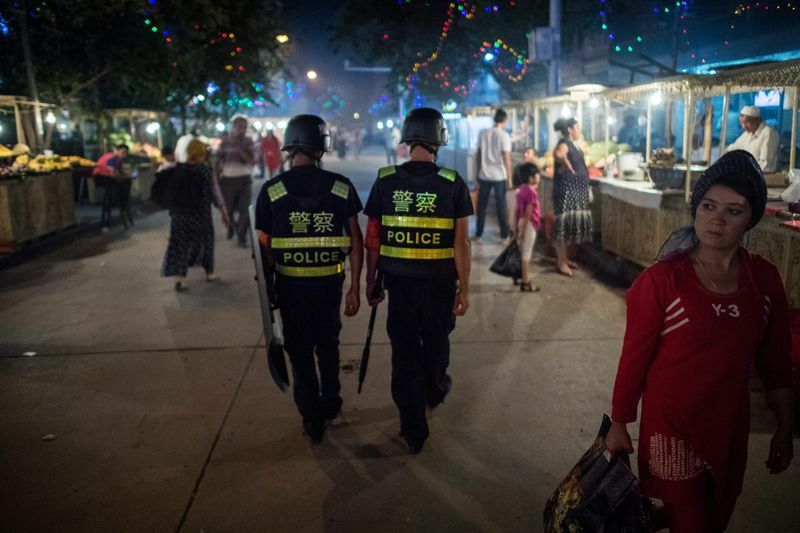 Between 2011 and 2016, the Tibetan government advertised for 12,313 police-related positions — more than four times as many positions as the preceding five years combined, according to research by Leibold and scholar Adrian Zenz. Chen also kept a close eye on power shifts in Beijing. In February 2016, he publicly hailed Xi as China’s “core” leader months before his title was made official, and has described Xi as a “wise leader” with a “magnificent plan” for China. Members of Chen’s delegation to China’s national legislative sessions that year wore lapel pins emblazoned with Xi’s portrait — the type of adulation common during Mao’s reign of personality. 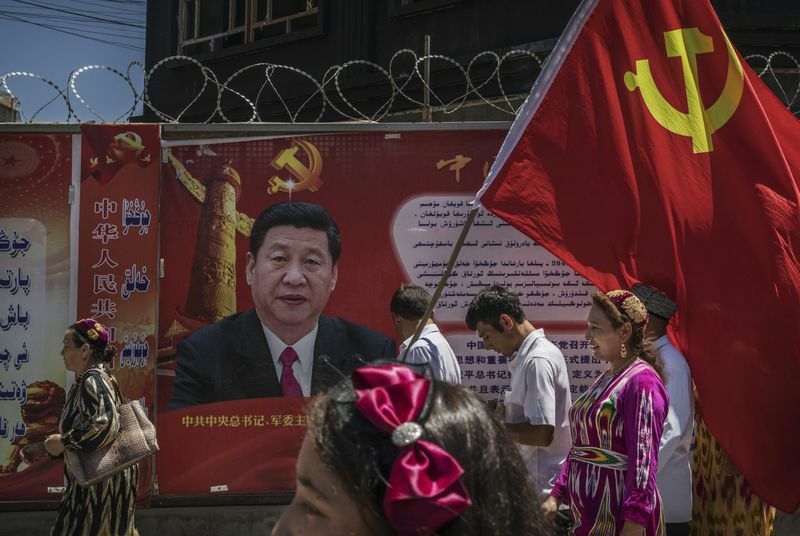 As Chen clamped down on dissent in Tibet, Xi had a problem in Xinjiang — a region with some 10 million Turkic-speaking Uighurs where Beijing has long struggled to enforce its rule. They have chafed under Chinese authority, seen by a rise in terrorist attacks and ethnic violence beginning in 2009.